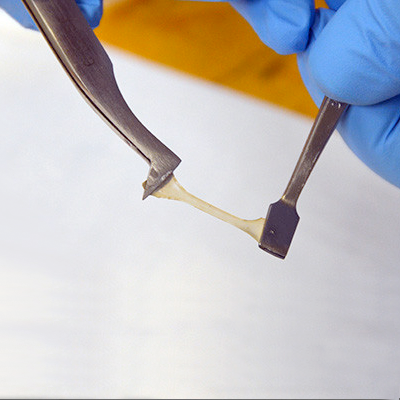 Water heals a bioplastic | A drop of water self-heals a multiphase polymer derived from the genetic code of squid ring teeth, which may someday extend the life of medical implants, fiber-optic cables and other hard to repair in place objects, according to an international team of researchers. Demirel and his team looked at the ring teeth of squid collected around the world -- in the Mediterranean, Atlantic, near Hawaii, Argentina and the Sea of Japan -- and found that proteins with self-healing properties are ubiquitous. However, as they note in a recent issue of Scientific Reports, "the yield of this proteinaceous material from natural sources is low (about 1 gram of squid ring teeth protein from 5 kilograms of squid) and the composition of native material varies between squid species."